When I was a kid, there were a few Doctors around in New Jersey who made "house calls" if somebody was too sick to come into their office. 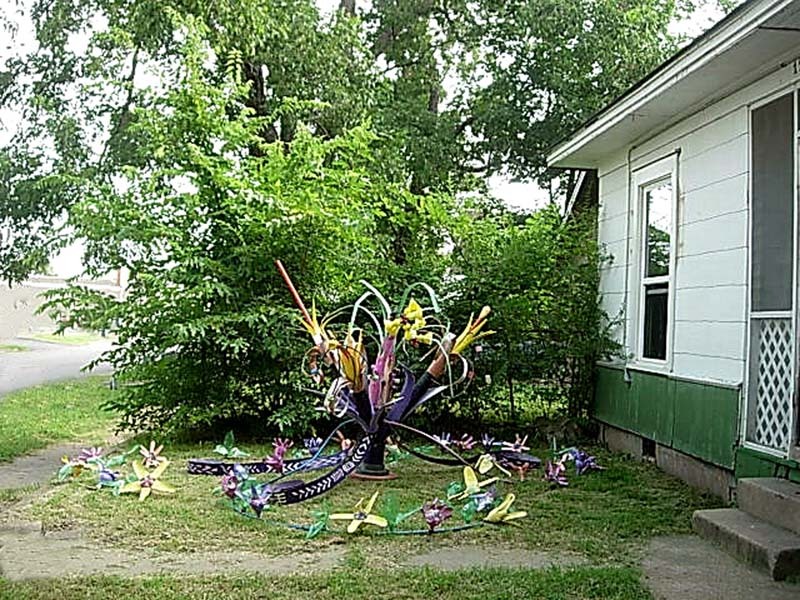 The Allenvale Sculpture made a house call to my niece Holly in Neptune, NJ. When she died, we remembered that her sister's school had invited the Allenvale Sculpture to come to their school's courtyard but at the time of the invitation we did not have the means to do it. It took a few years for the means to get from here to there to materialize! The Allenvale sculpture sits in the front yard on a quiet street in Tulsa, waiting for September, when it will go over to the school. ARTWORKS in unusual ways with patience, persistence, imagination, resourcefulness and a large leap of faith that together we can elevate the quality of the day.